2018 saw blockchain technology begin to disrupt other industries, but what’s the blockchain outlook for 2019? We asked experts. 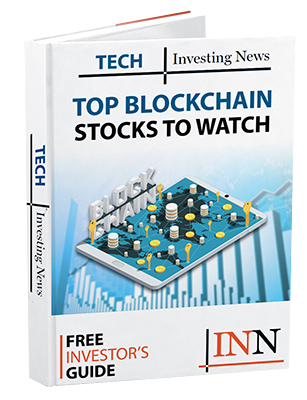 Earlier this week, the Investing News Network (INN) reported on the key blockchain trends of 2018. Those include increased institutional interest in the space, more regulations and the technology‘s ever-rising impact on other spaces. With 2019 freshly underway, it’s time to look at what’s in store for blockchain for the year ahead. Continue reading to learn what industry experts and companies in the space are expecting for the blockchain outlook for the coming year and beyond. In an interview with INN, Eric Ervin, CEO of Blockforce Capital, said that innovation in the blockchain sector will only continue. Ervin compared it to the dot-com correction of the early 2000s after stocks crashed, when the internet really begin to change people’s daily lives. “I think that the building and the disruption and the [blockchain] technology is just going to continue,” Ervin said. Anthony Di Iorio, CEO and founder of Decentral and Jaxx and co-founder of ethereum, made similar comments. In a phone call with INN, Di Iorio said the evolution of the industry starts with people understanding how transformative this technology is. “[Blockchain] will create a lot more change and industries that the internet couldn’t change, and it’s going to impact every part of [the public’s everyday] lives,” he said. Brian Kelly, founder and CEO of BKCM, said that what the industry — which includes cryptocurrencies — needs is the “story about adoption” and how the technology will be used and why it will be important. “That, to me, is kind of the biggest challenge that we have over the next year or two — to have people in the US and more developed markets understand why bitcoin is important and then secondarily why cryptocurrencies are important to the Web 3.0 story,” Kelly said. With 2019 now started, Kevin Hobbs, CEO of the Vanbex Group, told INN that this year should bring the shutdown of cryptocurrency exchanges. He said that there will be exchanges “popping up” that will sell security tokens. “So [2019 will see the] shutting down of … what we consider traditional cryptocurrency exchanges, and a surgence of new security token platforms for trading tokenized securities,” Hobbs said. Ervin said that with more clarity coming from the US Securities and Exchange Commission (SEC), there have been a number of exchanges that have been approved to trade digital securities. “Market participants must still adhere to our well-established and well-functioning federal securities law framework when dealing with technological innovations, regardless of whether the securities are issued in certificated form or using new technologies, such as blockchain,” the statement reads. Ervin said that sometime in the second quarter of 2019, crypto exchange users will be able to create a digital token that represents a share of Apple (NASDAQ:AAPL), and will then be able to sell their bitcoin and buy an Apple share directly on Coinbase. “It makes sense that any company out there who has a cap table … should have their own token. Every open source project, every charity, potentially every fund or these new types of decentralized organizations [and] apps, they’re all going to have their own tokens,” Armstrong told TechCrunch. “All of these security tokens are going to really hit the mainstream,” Ervin said. As noted in our blockchain trends 2018 article, markets like supply chain management and food traceability have recently begun turning to blockchain for implementation. Areas such as healthcare and finance have also long ago welcomed blockchain, but there are other industries looking to add this new technology. Hobbs told INN that the movie industry in particular will have some “really strong projects” coming in the next year. “I think we’re going to see a surgence of … blockchain technologies that are handling film and TV and content,” he said. In a 2018 article, Variety notes that indie flick “No Postage Necessary” was the first movie released via blockchain technology last June. Those wishing to view the movie could purchase it through a blockchain-based video app called Vevue, and pay for it with the app’s digital currency. “Blockchain enables new ways to monetize content via micropayments and direct creator-to-consumer distribution sans today’s leading middlemen,” the article states. Hobbs also said that blockchain will also have a big impact on the real estate industry. A research report from Deloitte notes that commercial real estate (CRE) executives have found that blockchain-based smart contracts can be pivotal to real estate. “Blockchain technology can potentially transform core CRE operations such as property transactions like purchase, sale, financing, leasing, and management transactions,” the report explains. “Real estate is another good one [for blockchain] that people are gravitating to,” Hobbs said. The coming year promises to bring the adoption of blockchain in more sectors, while regulatory bodies will continue providing more clarity for the sector. With the blockchain industry still in its infancy, it is to be expected that challenges and roadblocks will still be in the forecast. Investors should enter the sector with caution, but can take comfort in knowing blockchain is here for the long haul.